The Jets couldn't get much pressure on Tom Brady, and it showed on this touchdown to Rob Gronkowski. Tom Brady is one of the toughest guys in the NFL to get pressure on, and the New York Jets learned that the hard way on Sunday. While the Jets constantly sent extra pass rushers at Brady, they were unable to sustain pressure on the future Hall of Famer. On this particular play, it burned them badly. With 1:20 left and the game on the line, Brady dropped back to pass with two free rushers coming at his face up the middle. 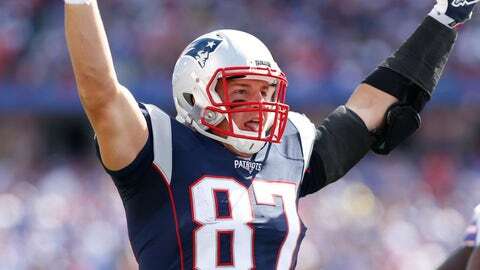 Brady calmly flipped it to a wide-open Rob Gronkowski for a touchdown to seal the victory. On the day, Brady completed 34-of-54 for 355 yards and two touchdowns with zero interceptions. He also added a rushing touchdown on a quarterback sneak. It was a long day for the Jets' defense with this touchdown being representative of how the game went.